How has the week treated you so far? 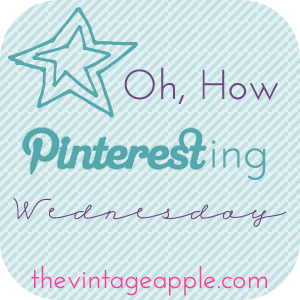 I'm linking up with Michelle for Oh, How Pinteresting Weds. this farm sink is fabulous. a new office chair option? easy peasy but gorg decor. I'm in love with this room. sigh. if I could wear this exact outfit everyday..
super cute casual look & love the shoes. ...you have no idea how much this applies to me. Use an old spice rack + some wallpaper to display your nail polish! I can't wait to see what you all pinned this week & are loving!! Loooove that chalkboard mug. Must try to recreate that! and the rehydrating with margaritas made me LOL because its totally what I do. I love that you said y'all! :) I MUST have that farm sink in my life!! Hope that stinky cold has gone away. I'll take that farm sink please!! It would look amazing in my dream kitchen! I am in love with all these pins! Especially the chevron chair and that bedroom! I LOOOVE it!! SO chic! Hope you're feeling better child. Love the chalkboard mug... such a cute idea! I love the candle idea...super easy but so cute. I am dying for the bench in the bedroom picture! Anything B&W and you know I'm all over it! I'm in love with that sink! And a pumpkin pie smoothie sounds amazing right now! Seriously how cute is that chalkboard mug?! Love it! that yellow office chair is to. die. for. LOVE IT! That DIY nail polish holder is awesome. I need one because I have like 30 colors! hahahah I love that sign about working out and margaritas....totally applies to me as well :) thats hilarious!!! I want that bedroom! It's perfection....and that farmhouse sink, yes please! cute finds on Pin..... LOVE the nailpolish rack.. Might have to do that!!! love the layout! and i will just say ditto to all the pins especially the one about working out really hard and rehydrating with margaritas!! That farm sink in AMAZING!!! Hope you have a great Wednesday! I'm loving that bedroom!! I almost posted the same one on my post today! :) And that farmhouse sink is fab! i'm lovin that first outfit. cute & comfy. and i NEED that soft pink blazer. wish i had a margarita right now! or a pumpkin pie smoothie. Lots of great pins! Love the candles. Just stopping by from WILW to say hello. Have a great week! I want that chair. For real. I have no idea where I'd put it. But I want it. Love the new blog look BTW! I loveeeee your new blog design! Meg is awesome! I've been away and missed it but seriously love it! I love your pins especially the humorous one with the work out then margs. Also love the DIY nail polish rack! I'm also completely obsessed with pinning! i love all of your pins- especially that chalkboard paint mug. you have a super cute blog! I have been dying to make those milkshakes!! Who would have thought to use an old spice rack to display your nail poslish! Gah, where would we be without Pinterest these days?! Love it and your blog! I love all of these pins! I want to fill those clear jars with coffee beans instead of whatever is in there now...how good would your house smell?! Adorable blog! I am your newest follower! I am a new blogger, and would for you to check out mine! I pinned several of those things this week! Love that chair and that candle decor! And I really want that humor bit to apply to me. Guess I need to work out harder. If you ever need a running/marg drinking buddy, sign me up! LOVE all your pins...especially that bedroom! It's beautiful! Hahahha... that ecard is SO me.